F-18A/B/C/D Hornet Pocket Checklist, A1-F18AC-NFM-500, for the McDonnell Douglas F/A-18A, F/A-18B, F/A-18C, F/A-18D Hornet. Dated 15 November 2002. A number (56) of Rockwell B-1 Lancer Photos in one PDF file. The Rockwell B-1B Lancer Factbook Fact Book, NA 95-1210 dated 20 July 1995. Forty nine photos of an FGR.2 (F4M) Phantom II aircraft. Shot on May 5 2010 at the Kbely Museum, Prague in Czech Republic. I have added an Aviation Archives Discussion Group to this site at: this location. See the side bar for details. Several of you have asked for this group to be established; but, it was Trevor Bodnar who laid all the groundwork and was the creator. Thanks Trevor! 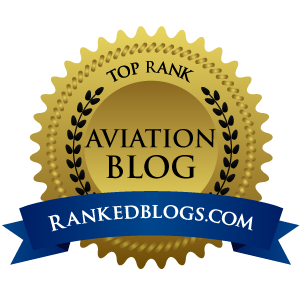 Any aviation or blog related subject can be discussed here. Watch the language and no advertisements, please. Have fun with it and do post any "wish list" of aviation documents or topics that you are interested in. An unusual book that I have included as it explains the Luftwaffe and service in the Luftwaffe. From USMBooks:The Deutscher Luftwaffen Kalender is a heavily illustrated pocket sized Luftwaffe informational calendar or handbook for the year 1941 with contributions by Generalfeldmarschall Goering, Generalfeldmarschall Milch and General der Flieger Christiansen and lots of detailed information about the Luftwaffe. Great period aviation related advertising too. It also has several aircraft identification profile pages. Complete operating instructions for the McDonnell Model 220 aircraft. Dated 10 June 1960. Another gem from my archives. This time a copy the the McAir produced McDonnell 119 Familiarization Manual. SEDR-40, dated 1 May 1959. This was part of the U.S. Air Force's UTX/UCX (Utility-Trainer Experimental/Utility-Cargo Experimental) contract program. Seventy One more factory photos of the McDonnell Model 220 aircraft. Flying, hanger, ramp and console photos are included. Headquarters for air crew familiarization and training, maintenance training and weapon system demonstration. Extensive ﬂight operations have been conducted at Langley. Nellis with Connally, and Shaw Air Force Bases to be visited. Documentation of these operations are presented herein. Some photos and info on the initial Century Series designation of the F-4 Phantom. The F-110A was the USAF designation for what was to become the F-4C. On 18 September 1962, the USAF and US Navy aircraft designation systems were combined into a single scheme resulting in the F-1 to F-11. The USAF F-110A and US Navy F4H-1 became F-4C and F-4B respectively. Operation High-speed, a fly-off competition between the USAF F-106A and the US Navy F4H-1 (F-4B) resulted in a convincing win for the F4H-1. The USAF was loaned two US Navy aircraft (BuNo 149405/406) for a 120-day extended evaluation on 24 January 1962. Twenty-seven more F-4Bs were eventually loaned to the USAF for service evaluation, most of which were returned to the US Navy after the F-4C entered production. From Wikipedia: The F- series number sequence used in USAF was a continuance of the pre-USAF pursuit aircraft (P- series) numbering, stretching back as far as to the 1920s. The numbering would continue sequentially up to the F-111, and after this number the 1962 United States Tri-Service aircraft designation system restarted the numbering back from 1. Notably, the fighter-bomber briefly known as the F-110 Spectre was renamed F-4 Phantom II. The USAF continued the naming convention with the CONSTANT PEG program as an OPSEC measure. The last known aircraft with a "Century Series" designation is the F-117 Nighthawk stealth fighter. Some Bell X-1 photos and fact sheets from my archives. Several never seen before photos. A number of photos and drawings for the Vought F7U Cutlass from my archives. Enjoy! A copy of the AN 01-45HFC-1 Flight Handbook for the Vought F7U-3 Cutlass aircraft, dated 1 December 1952. A copy of the Vought F7U-1 Preliminary Flight Manual, AN 01-45HFA-1, dated 15 October 1952.